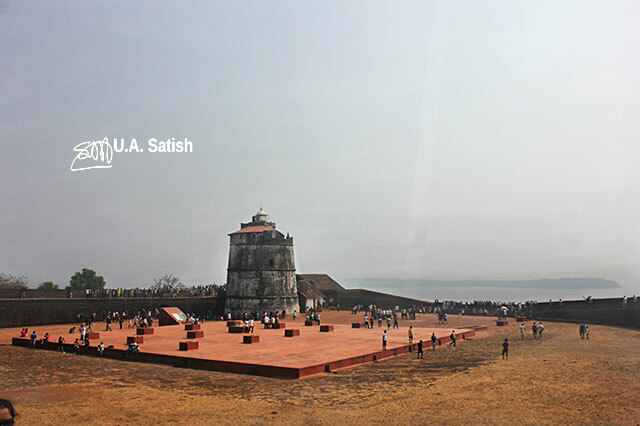 Fort Aguada is a 400 year old Portuguese-built fort in Goa. It overlooks the Arabian Sea where River Mandovi flows into it. It is a top travel destination in Goa and draws many visitors from India and outside. Fort Aguada is in Sinquerim village. It is 10 km from Calangute Beach. Fort Aguada does not have a train station and the nearest is Margao Station (51 km). Goa International Airport at Dabolim is a drive of 1 h 15 min (42 km) via Panjim and Cortalim. 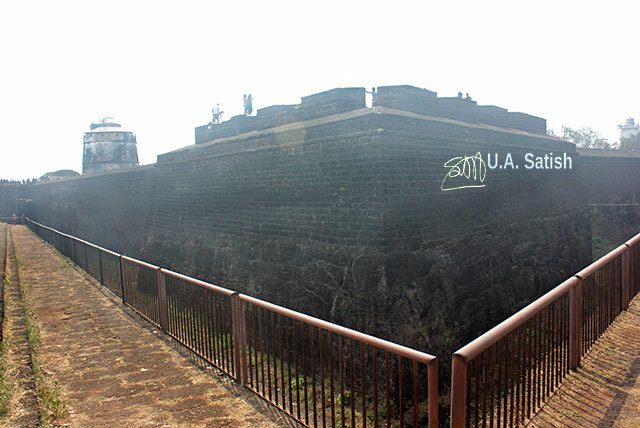 Fort Aguada is at the confluence of River Mandovi and Arabian Sea. This had strategic importance to the Portuguese colonists who had established Goa as their headquarters in India. They built the fort in three years, 1609 to 1612. 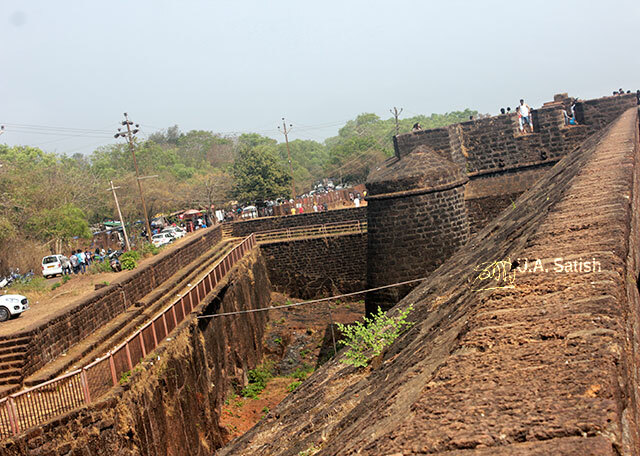 From the fort, they sought to control the waterways into Goa. So well built and protected was the fort that it had never succumbed to enemy attacks. Fort Aguada also offered a safe heaven for their ships The lower part of the fort had berths for ships where they could dock and re-stock their supplies. Agua in Portuguese means water. Fort Aguada had a fresh water spring which generated an ample supply of drinking water. This is how the fort got its name. 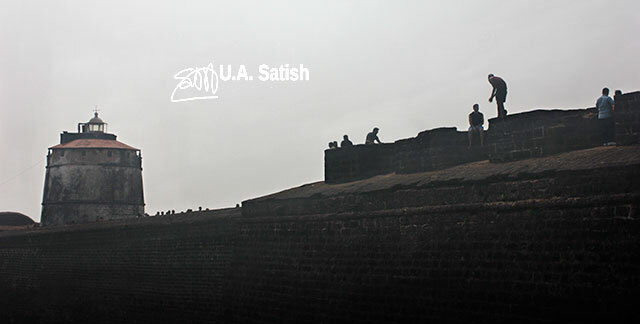 Fort Aguada is built using laterite stone which is widely available in Goa. The huge ramparts are 1.5 metres tall and 1.3 metres thick. They have withstood the ravages of time. The fort is on two levels, with berths for ships at the lower level and an imposing fortress on top. The upper level could mount up to 200 cannons to protect the fort walls. There is also a courtyard and a huge storage facility to hold two million gallons of potable water. 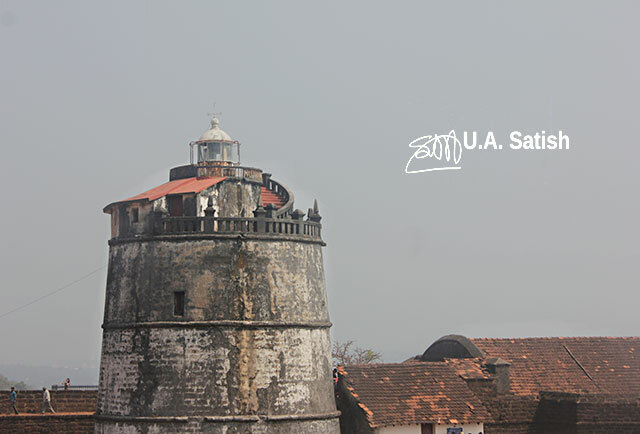 The lighthouse in Fort Aguada was built in 1864 and was one of the oldest in Asia. In the early years, it used oil lamps to produce a beacon of light. The lighthouse is not operational since 1976. The hilltop fort is a popular Goa travel destination. It is open from 10:00 am to 6:00 pm. If you have questions, please use the Contact form to get in touch with me.